Posted by HubTechInsider in green technology, Massachusetts High Technology, renewable energy, Startups, Venture Capital. Attleboro’s Mechanology, cleantech product manufacturer, raises $5.8 Million from a group of undisclosed investors. Burlington’s Viridity software, a provider of data center energy resource management technology, raises $8 Million in a Series B round of equity financing from Battery Ventures and North Bridge Venture Partners. Posted by HubTechInsider in green technology, Manufacturing, Massachusetts High Technology, renewable energy, Startups, Venture Capital. Wilbraham, Massachusetts based FloDesign, a maker of wind turbines that resemble jet engines, announces their Series B round of $35 Million in equity funding led by a group of investors including Kleiner Perkins Caufield & Byers, Technology Partners, VantagePoint Venture Partners, and Goldman Sachs. Westborough’s Boston Power Inc., a developer of lithium ion batteries, raises $60 Million in a Series E round of equity funding led by Foundation Asset Management, Oak Investment Partners, Venrock, and Gabriel Venture Partners. Posted by HubTechInsider in green technology, renewable energy. What if you could simply staple solar panels to your house rather than hiring a professional installation team? That’s not as far-fetched as it sounds — MIT researchers have figured out a way to print thin film solar cells on paper using a process that resembles a standard inkjet printer. If they’re able to gear efficiencies up to scale, the development could revolutionize the production and installation of solar panels. MIT’s new semiconductor-coated paper features carbon-based dyes that give the cells an efficiency of 1.5 to 2 percent. That’s not incredibly efficient, but the convenience factor makes up for it. And in the future, researchers hope that the same process used in the paper solar cells could be used to print cells on metal foil or even plastic. 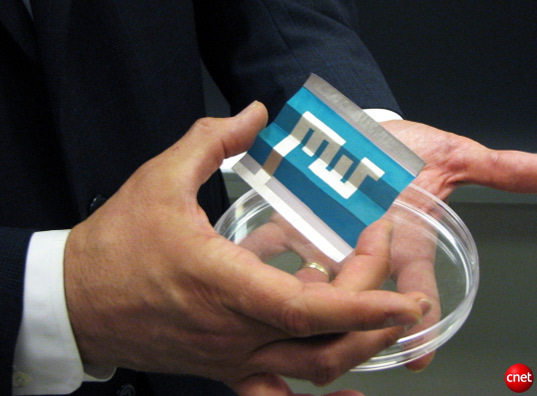 Of course, paper solar cells are a long way from commercialization. MIT researchers say that the technology is still in the research phase and it could take years before being commercialized. And once it is? There’s no telling how it could revolutionize the home solar industry, which currently relies on pricey professional installers to set up panels. 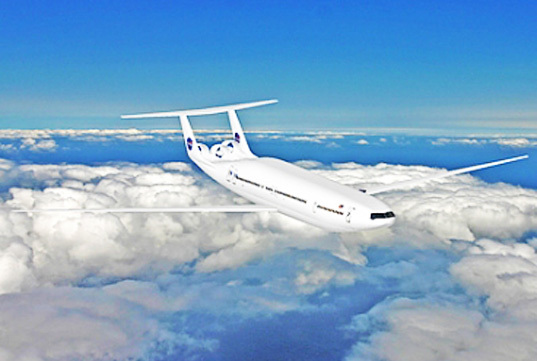 Today a team of researchers at MIT unveiled their latest feat of engineering — an airplane that uses 70% less fuel than conventional aircraft. The MIT team was one of six groups — and the only university led team — across the US chosen by NASA to help redesign current aircraft to increase fuel efficiency, lower emissions and allow planes to take off on shorter runways. The team accomplished all of NASA’s set goals with their innovative D-series plane, lovingly referred to as the “double bubble”. NASA is calling this government-funded initiative the “N+3″, signifying that the planes are meant to revolutionize the aircraft industry in three generations. MIT, Boeing, GE Aviation and Northrop Grumman were given the task of rethinking the subsonic commercial aircraft market while teams from Boeing and Lockheed-Martin were entrusted with creating supersonic commercial aircraft — passenger planes traveling faster than the speed of sound! NASA’s goals were to reduce fuel consumption while taking into account that in 3 decades air traffic is set to double. Now that the designs have been revealed the teams are awaiting news in the next few months of which designs will receive funding to go on to the second phase of the program. MIT designed their D-series as a 180 passenger aircraft meant to replace the domestic 737 market. Conventional airplanes utilize a single fuselage design, while the D-series uses two partial tubular shapes placed beside each other — which accounts for the bubble nickname. The plane utilizes a host of technological advances to decrease its fuel consumption. It has thinner longer wings and a smaller tail and engine placement at the rear of the plane instead of on the wings. All of these features account for part of the reduction in fuel usage. The MIT team also unveiled their H-series — a “hybrid wing body” plane that seats 350 passengers and could replace the 777 overseas market. 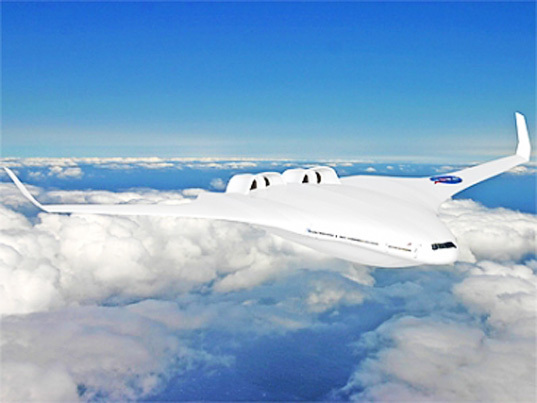 NASA expects designs from this program to take flight in 2035. Cambridge’s Joule Unlimited, a maker of technology that mimics photosynthesis by turning carbon dioxide into ethanol, raises $30 Million in Series B equity funding from Flagship Ventures. Lebanon, New Hampshire’s Mascoma, a developer of advanced methods for making ethanol from wood fiber and other non-edible plant matter, raises $3.4 Million from a group of undisclosed investors. Posted by HubTechInsider in green technology, Manufacturing, Nanotechnology. MIT Researchers discover new electricity production method utilizing carbon nanotubes. The team of researchers at MIT have announced that they have made a new breakthrough for producing electricity with carbon nanotubes, and the discovery may one day lead to a myriad of new devices such as sensors the size of dust that can be dispersed in air to monitor the environment or perhaps the technology might lead to implantable devices that produce their own power. The researchers discovered a phenomenon that was previously unknown that produces powerful waved of energy that shoots though carbon nanotubes, producing electricity. The thermal wave is a moving pulse of heat that travels along the microscopic carbon nanotubes and drives electrons along with it creating an electrical current. The team coated carbon nanotubes with a highly reactive fuel that produces heat as it decomposes. The fuel was ignited at one end of the nanotube with a laser beam or high-voltage spark. The resulting ignition created a fast moving thermal wave that travels about 10,000 times faster than the normal speed of the reaction according to the team. The temperature of the ring of heat reaches about 3,000 kelvins, pushing electrons along the tube creating a substantial electrical current. Strano says that the combustion waves have been mathematically studied for more than a hundred years, but he claims to be the first to predict that the combustion waves could be guided by a nanotube or nanowire and push an electrical current along the wire. Since the discovery is so new, it is hard to predict how it could be used in practical application. The team plans to conduct more research using different kinds of reactive materials for the fuel coating and the team suspects that by using other materials for the coating the front of the wave could oscillate to produce an alternating current. The team points out that most of the power generated with the new method is given off as light and heat and work is ongoing to make the process more efficient. Posted by HubTechInsider in green technology, renewable energy, Uncategorized, Venture Capital. Using design features borrowed from jet engine design, Wilbraham, MA -based FloDesign Wind Turbine has produced prototypes capable of producing electricity three times more efficiently than conventional, three-bladed wind mill designs. In FloDesign’s prototype, two concentric hoops channel air into patterns that create spinning vortexes – like minature tornadoes – as the exiting air passes the turbine blades, dramatically boosting air flow. Unlike conventional windwills, FloDesign’s model can be transported on one truck, compared with three trucks for conventional wind mills. The new design can produce electricity at lower wind speeds and in the midst of more volatile wind gusts, making it a shoo-in for spots – like beaches and cities – that have until now been inhospitable for wind power generation. 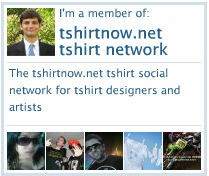 Silicon Valley Venture Capital firm Kleiner, Perkins, Caulfield and Byers committed $6 million to the company in 2008. The company also has raised funds from the U.S. Department of energy and hopes to raise an additional $25 million later this year.